Michelle Obama’s 50th is Around the Corner! The Daily Mail UK reports, “Michelle Obama’s ensuing 50th birthday party has already wreaked havoc for Hawaiian locals as security checkpoints have created traffic around Oprah Winfrey’s home. 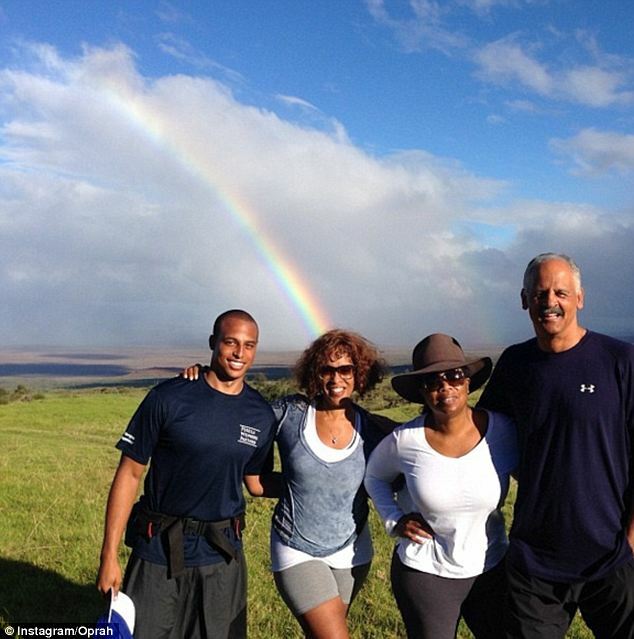 The Queen of Talk is hosting the seminal birthday celebration for the First Lady, who stayed on in the Maui after President Obama and the girls returned to Washington following their Christmas vacation. 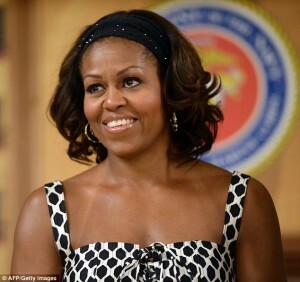 Mrs Obama’s birthday is on the 17th and the dance-heavy party will be held at Winfrey’s mansion on the 18th, but that hasn’t stopped problems from arising already. Local shopkeepers have complained that the security roadblocks have stopped both customers and employees alike from getting to their stores. 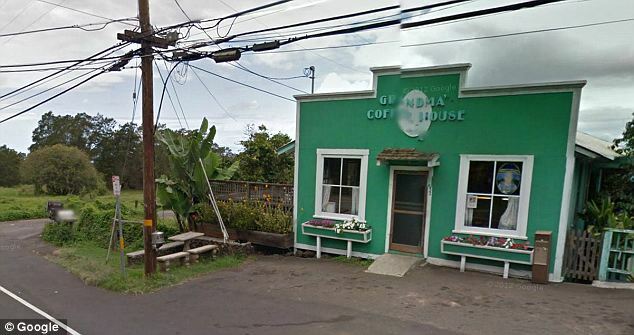 An unidentified worker at Grandma’s Maui Coffee told TMZ that their colleagues have been running late to work while the owner of Goble’s Flower Farm lamented that some customers couldn’t come inside because of the roadblocks. For their part, the White House has made very few comments about the trip aside from saying that the time away from the White House and her children- while she does obviously love them- was a present from her husband. The party invitation made it clear that the First Lady isn’t ditching all of her priorities as the healthy-living advocate will be serving little food and a lot of tunes at the shindig. The event was described on the invite as having ‘Snacks & Sips & Dancing & Dessert’, according to The Chicago Tribune. The guest list has been kept under lock-and-key, but one talking head-turned-Obama friend couldn’t keep quiet as Democratic strategist Donna Brazile told the paper that she was looking forward to the blowout and expects it to be as fun as the 2013 inauguration after party. ‘We cleared the tables and we all just started dancing. We danced the night away. That’s Michelle. She’s spontaneous, she’s energetic, she gets the moment and appreciates every second she is surrounded with friends and family,’ Ms Brazile said. 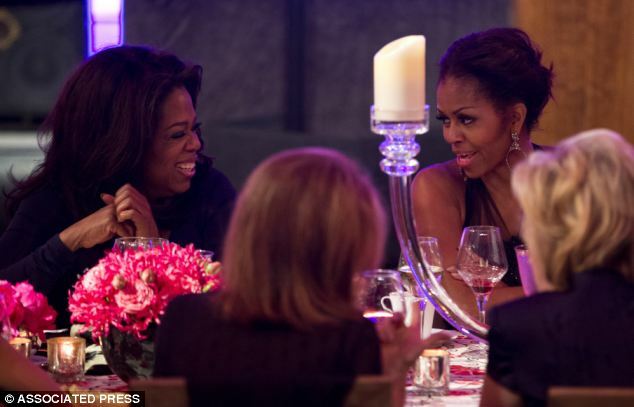 The party is being held at Winfrey’s home which she previously described as her ‘sacred space’. Winfrey spent Christmas at the 11-room, 17-acre home and posted a picture of herself, longtime partner Stedman Graham, best friend Gayle King and King’s son William on a hike that was topped off by a rainbow on December 27. 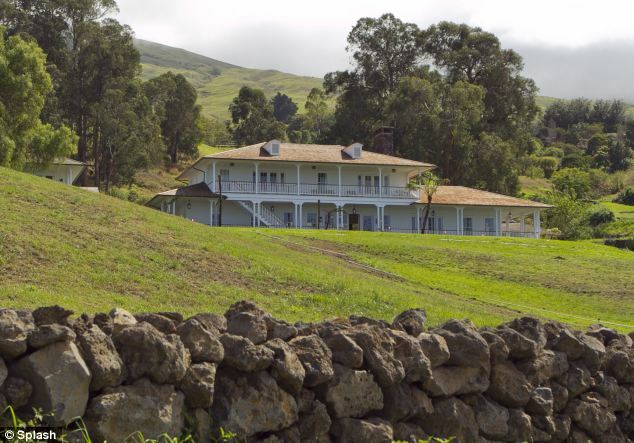 ‘Every evening we sit on the front porch and watch the greatest light show on earth: the sun dipping below the horizon,’ Winfrey wrote about the home in Huffington Post Hawaii. Wow- sounds like it’s going to be amazing! But what four words threw etiquette experts for a loop? Eat before you come!